The impact of elevated ammonium nitrate concentrations on the survival and development of common toad (Bufo bufo) tadpoles was investigated in the laboratory. 1,704 mg/L and 1,637 mg/L nitrate (equivalent to 2,198.7 mg/L and 2,112.3 mg/L ammonium nitrate) were recorded as 96 h and 168 h LC50s respectively. These are well above field levels (10–250 mg/L) observed in freshwater in Britain. 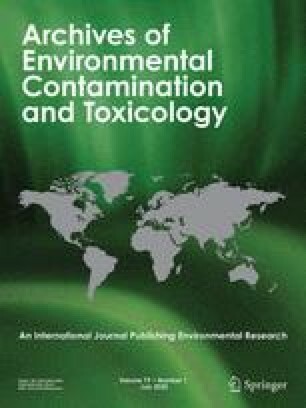 The exposure of tadpoles to nominal concentration of 100 mg/L nitrate for 24, 48, and 72 h caused a significant decrease in their activity but no clear reduction in food consumption or delay of the development. In subchronic exposures at the nominal concentrations of 50 and 100 mg/L nitrate, the metamorphosis started earlier and took less time to complete than in the control. However, some of the results were equivocal, at 50 mg NO3/L the metamorphs were significantly larger than the controls, while at 100 mg NO3/L metamorphs were not significantly different from the controls. Certain deformities and unusual swimming patterns were also found in tadpoles exposed to various concentrations of ammonium nitrate.